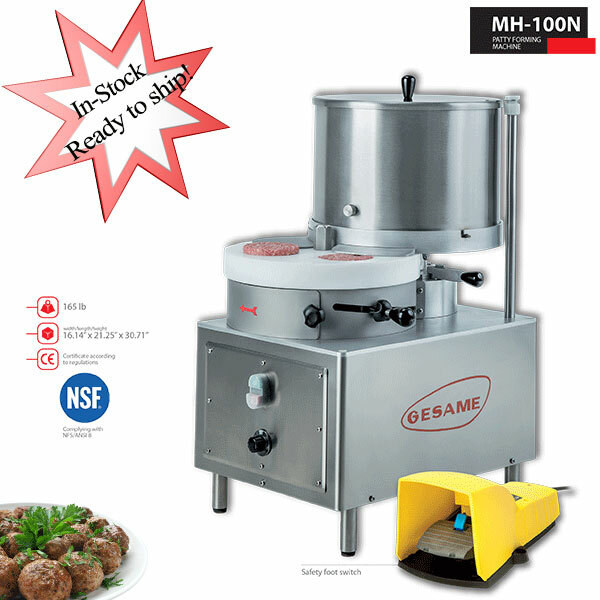 Gesame's MH series dispensers are the ideal solution for butchers, pork butchers and food industries wishing to speed up the production process. 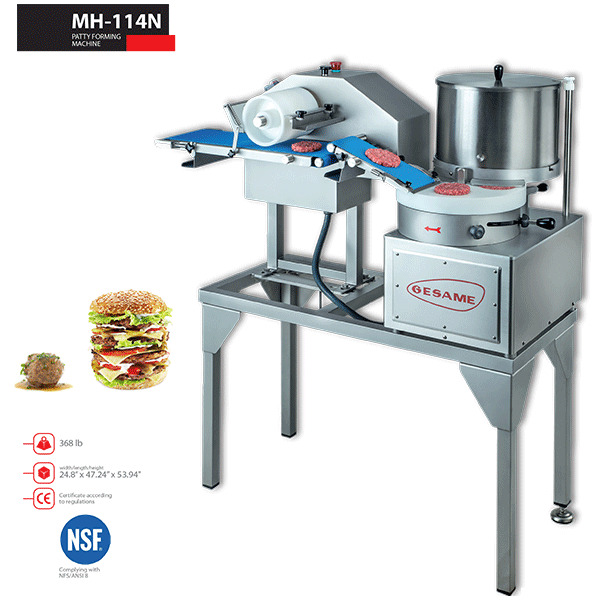 With a capacity for producing up to 1,800 hamburgers at a time, the dispensers can also be used to make meatballs, cannelloni, croquettes and any made to measure shape. 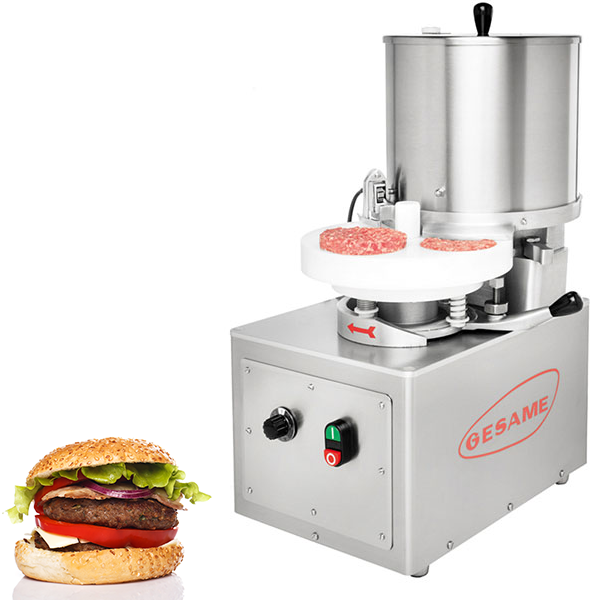 The thickness is adjustable, allowing burgers to be made up to 130 mm in diameter and of the desired weight. Its practical design makes it quick and easy to assemble and dismantle, thereby simplifying the cleaning process, and reducing this to less than 5 minutes.